For years, John Young and I would spend hours, literally hours at a stretch, talking about Paul McCartney’s recording career as a solo artist. Just making each other laugh. Because some of McCartney’s output – particularly in the Wings era – was sublime in its badness, its weakness, its very lameness in composition and execution. There are so many genuinely awful songs in that canon – roughly 1971 through ’79 – that making fun of them was like shooting fish in a barrel. The great ones, of course, were beyond reproach. The thing was, John and I absolutely loved all of it. 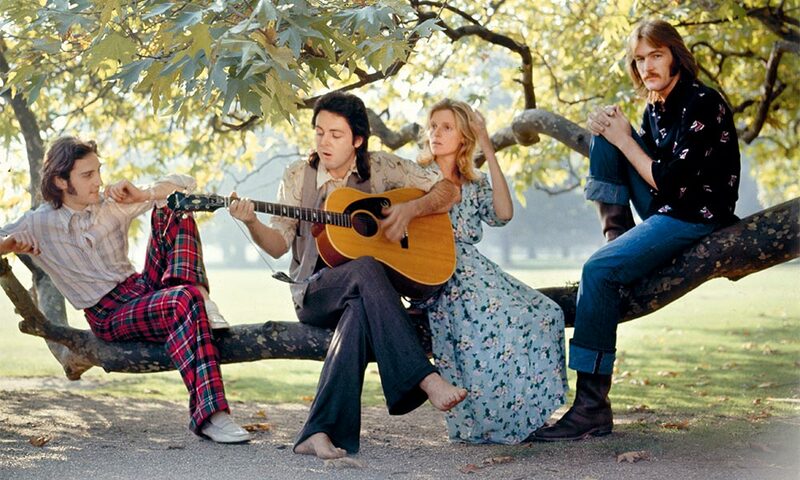 That was always the galvanizing thing about McCartney – you could hate the music but still love the music. As many times as we dissed “Mumbo” and “I Am Your Singer” and “Big Barn Bed” and “I Lie Around,” John knew, as I did, that those songs were in our bloodstreams, knocking around with all the other music that we both held dear. We didn’t have the exact same taste in music, John and I, and we didn’t always agree. That’s the nature of friendship, right? But when it came to solo McCartney, making fun of “Bip Bop” or “Give Ireland Back to the Irish” or “Morse Moose and the Grey Goose” was like taking the piss out of an eccentric old uncle. We loved the guy, but he sure could be weird sometimes. All this to say that I’m really looking forward to the forthcoming reissues of Wild Life and Red Rose Speedway, the first two Wings albums. Because as much as there are some real clinkers in there – among the treasures – they’re our clinkers. I grew up on those tunes, and these days I’d much rather revisit them than John Lennon’s angry political songs, or his self-pity songs, or George Harrison’s dreary sermonizing. Love those guys too, of course, but I think early Wings has held up better than Imagine or Living in the Material World. Wild Life and Red Rose Speedway will always make me think of John Young, to whom I have not spoken in over four years, because we bonded over them, long before we even knew each other.